St. Peter’s sits in the middle of this small town, which was busy at the time of my visit. The church is open each day and there is a sign outside to say so. Inside, there was a steward around who told me that they didn’t get many visitors. There was a guide booklet and a local guide to the attractions of the area. A children’s area was laid out with some work displayed. 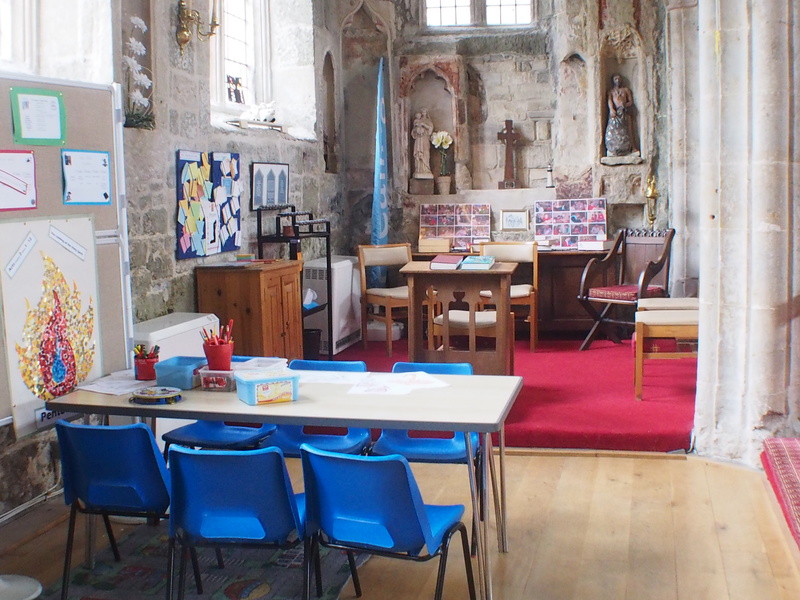 This gives a good impression of a church which values children and is not just a heritage building. There is also a good display on the story of St. Aldhelm. 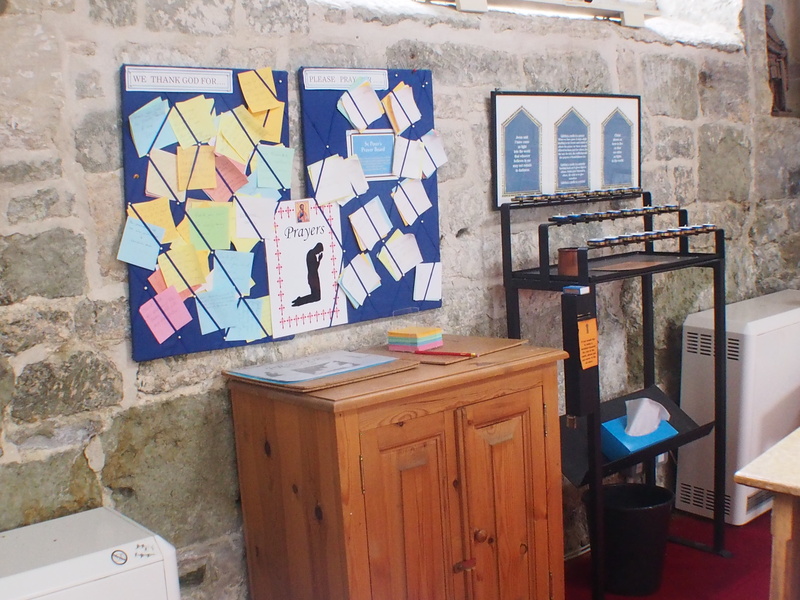 Prayer boards featured ‘thanksgiving prayers’ as well as ‘prayer requests’ – these were both well used. There is also a votive stand. 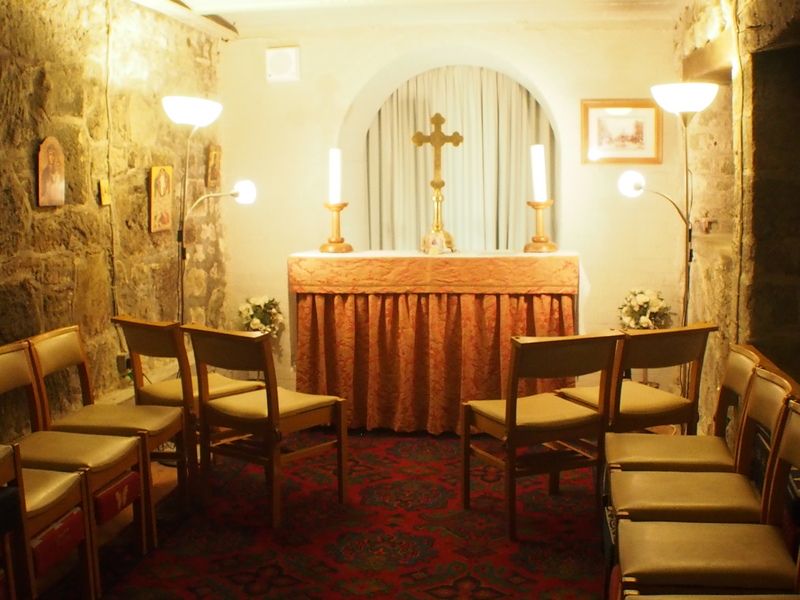 There is a chapel for prayer in the crypt, which is a wonderful space. 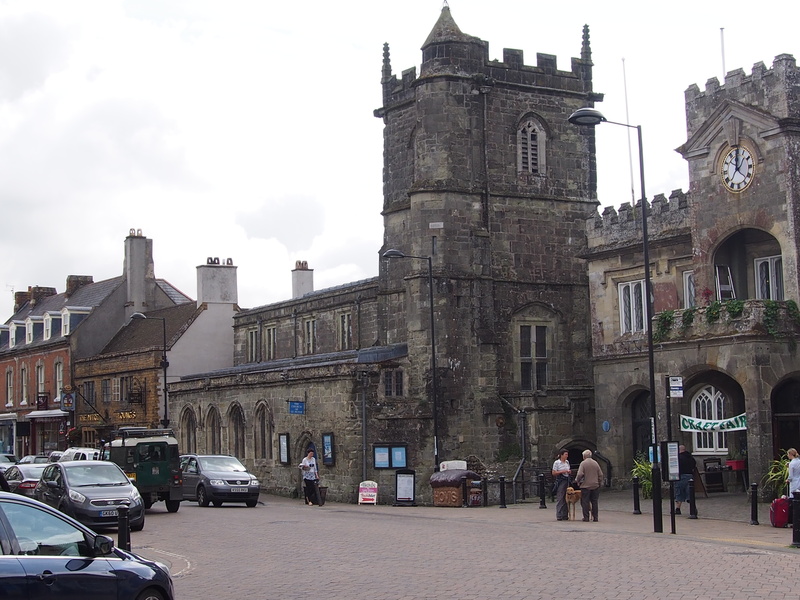 There is a website on http://stmin.org.uk/about/st-peters-shaftesbury/ and this proudly says that the church welcomes visitors during the week. All in all, St. Peter’s is a lovely, cared for church with a good welcome for visitors.